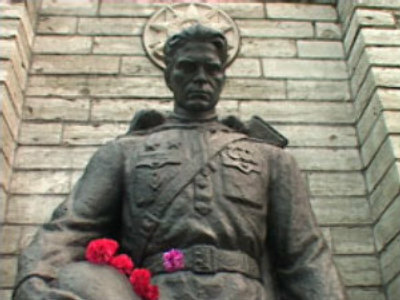 Estonia’s Anti-Fascist Committee says the renaming of the Bronze Soldier, a Tallinn memorial to Soviet Army soldiers who died in World War II, should be appealed in the European Court of Human Rights. 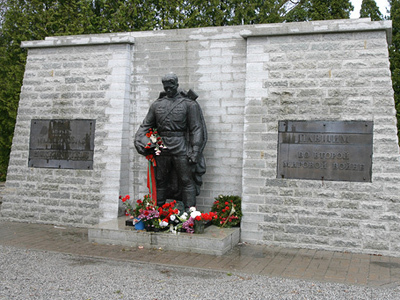 ­In March, a sign reading: “A monument to Soviet Army soldiers who occupied Tallinn on September 22, 1944” was installed at the entrance to the military cemetery where the Bronze Soldier now stands. He added that the Estonian authorities have long stopped any dialogue with the Russian diaspora when it comes to the memorial. “The Defense Ministry showed no interest in the public opinion and did what it considered necessary,” Zarenkov noted. Earlier, Dmitry Linter, head of the local Night Guard NGO created in 2006 for the defense of the memorial from vandals, submitted a request to the Defense Ministry asking to explain on what grounds the sign was put up. “The fact that between 1940 and 1991 the Estonian Republic was occupied is general knowledge both in Estonia and in the international community. Among other instances, it was confirmed by the European Court of Human Rights,” the document read. The Bronze Soldier used to be located in central Tallinn but in 2007 it was decided to move the monument, together with the remains of the soldiers, to the military cemetery on the outskirts of the city, where it is now. The relocation prompted mass protests of the Russian-speaking population, in which one Russian national died and more than 160 people were injured. Estonian court to bring back 'Bronze Soldier'?